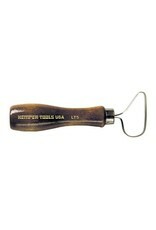 The Kemper LT5 Loop Tool has an angled head that is 3/4” at its widest. 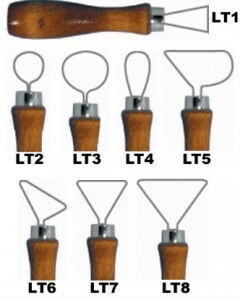 Loop tools are used to remove controlled amounts of clay from wheel-thrown and sculpture pieces. 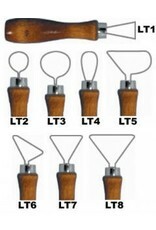 The shaped cutting heads are made from heavy stainless steel ribbon with sharpened edges. The hardwood handle ensures optimum grip when manipulating wet clay. This tool is approximately 5” in length.